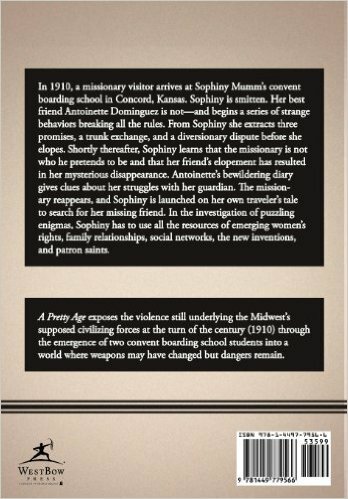 In 1910, a missionary visitor arrives at Sophiny Mumm's convent boarding school in Concord, Kansas. Sophiny is smitten. Her best friend Antoinette Dominguez is not-and begins a series of strange behaviors breaking all the rules. 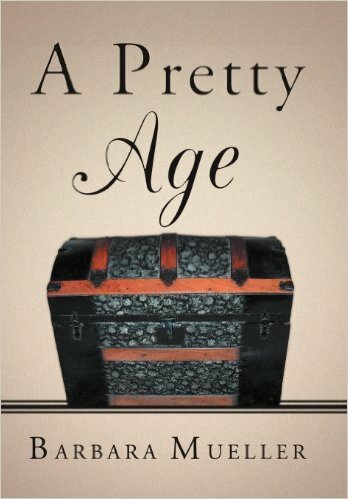 From Sophiny she extracts three promises, a trunk exchange, and a staged fight before she elopes. Shortly thereafter, Sophiny learns that the missionary is not who he pretends to be and that her friend's elopement has resulted in a mysterious disappearance. Antoinette's puzzling diary gives clues about "guardians who cause us to lose our way." The missionary reappears, and Sophiny is launched on a traveler's tale of her own to search for her missing friend. 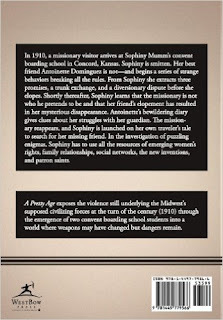 In the investigation of puzzling enigmas, Sophiny has to use all the resources of emerging women's rights, family relationships, social networks, the new technologies (telephone, photography, and transportation), and patron saints. This was a good book but it was so hard for me to finish, I think the reason is because I'm not Catholic so I didn't understand a lot of what was going on in the first part of the book. After Sophiny leaves the Catholic boarding school I was able to power through with no more problems. It really does have a great twist and unexpected surprises so if you can get through the first part I think you'll really enjoy the conclusion. 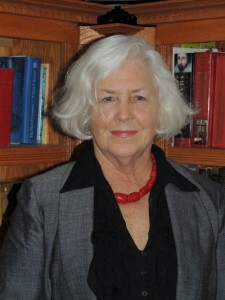 Barbara Mueller recently retired from teaching English at a Southern California community college. For 28 years, she taught composition and literature courses, including critical thinking, women’s literature and Bible as literature. She now has time to think about the larger issues of what her grandmothers left her and what she wants to leave her grandchildren. Barbara grew up in Kansas and attended the same convent boarding school her grandmother attended. She loved the experience, as she knows her grandmother did. This is her first novel inspired by that experience, but all names, places, and events have been fictionalized.